School Bus Accidents – Diana I. Castrillon, P.A. As a mother of two, accidents involving children are very near and dear to Attorney Diana Castrillon at the Injury Law Clinic, P.A. School bus accidents are often the most tragic because young children can be very seriously injured. As a result, substantial damages are often at issue in cases of this type, and vigorous representation is required to bring all responsible parties to justice. A school bus crash is an accident that involves, either directly or indirectly, a school bus-type vehicle, or a vehicle functioning as a school bus, transporting children to or from school or school-related activities. Since 1995 there have been about 416,295 fatal traffic crashes. Of those, 0.33 percent (1,368) were classified as school transportation-related. Since 1995, 1,509 people have died in school transportation-related crashes — an average of 137 fatalities per year. In all automobile accident cases it is important that necessary measures be taken to protect your rights. In school bus accidents, time is of the essence in order to properly investigate the accident in question and to enable physicians to thoroughly evaluate any injuries. 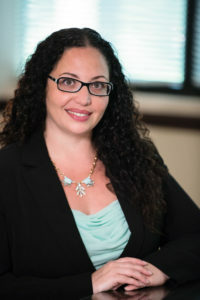 If you or someone you know has been injured in a school bus accidents, call Attorney Diana Castrillon of Cecere, Santana, P.A. today for a free consultation at (800) 75-FL-LAW.